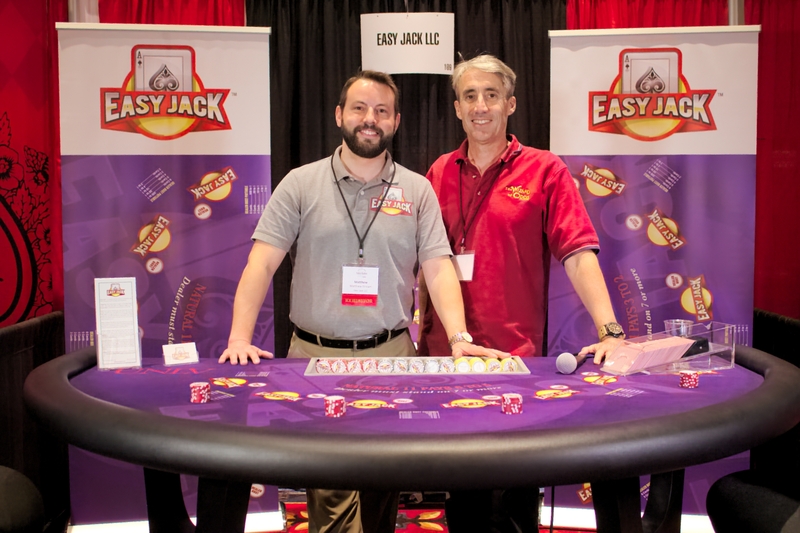 Easy Jack could loosely be described as a blackjack variant where the goal is to get closer to 11 than the dealer, without going over. It was created by Matthew Stream and went on field trial at Harrah's in Las Vegas on June 21, 2017. I saw and played it there on June 30, 2017. The game is played with eight 52-card decks. All cards are valued as in blackjack. Play starts with the player making an Easy Jack bet and optional Dealer Bust side bet. Each player shall receive one card face up and the dealer one card face down. The dealer does not peek at his card. If the player's initial card is an ace it counts as a blackjack and outranks all other hands. Players, in turn, may hit as much as desired, until they either stand or bust by going over 11 points. There is no doubling or splitting. If the player exceeds 11 points, then he busts and immediately loses his Easy Jack bet. After all players have acted, the dealer shall take his turn. The dealer will stand on a blackjack and otherwise hit until he has seven or more points. If the dealer busts, then any player bets still standing shall win. Otherwise, the player and dealer totals shall then be compared, the higher total wins. Winning player blackjacks shall pay 3 to 2. All other wins pay 1 to 1. The Dealer Bust side bet pays according to the pay table below. Following is the pay table for the Dealer Bust side bet. Pays are on a "to one" basis. If my rules were not clear, here are scans of the rule card. 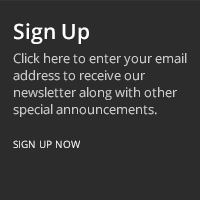 Click either image for a larger version. The basic strategy is the same as the dealer, hit on six or less, otherwise stand. The expected value is 0.2% higher hitting on six as opposed to standing. The following table shows my analysis of Easy Jack, based on a player strategy of hitting with six or less. The situation of the player busting and then the dealer showing a blackjack is counted as a player bust. The lower right cell shows a house edge of 0.94%. To cut the house edge by 0.0066%, stand on a total of six composed of two or more cards. The following table shows my analysis of the Dealer Bust bet. The lower right cell shows a house edge of 9.51%. Please enjoy my video of Matthew Stream, creator of Easy Jack.